Shopping at the exchange or commissary isn’t always easy to plan for, particularly because of how busy life can get for members of the military and their families. 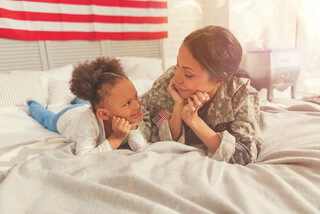 Fortunately, whether you’re stationed at Fort Campbell in Kentucky or any other military base in the world, you can find all the best deals and coupons all in one place at MyMilitarySavings.com. We provide up-to-date savings and links to the Defense Commissary Agency (DeCA), the Army and Air Force Exchange Service (AAFES), and all other military exchanges so that military shoppers don’t have to jump through hoops to save money. We will also send you weekly updates with digital copies of the Coupon Connexion and the Price Connexion, so you can plan ahead for your trip to the commissary or exchange with current savings information rather than waiting to see what’s on sale when you get to the store. And, with the “My Shopping List” app, you can save a list of everything you’ll need from the exchange and commissary, complete with all the coupons you’ve selected, and access it right in the store from your smartphone. To learn more about the hundreds of deals you can access for your next trip to the commissary and exchange at Fort Campbell, KY, enroll for your free account at MyMilitarySavings.com today.